Having recently travelled to Las Vegas, this post is part of my series on kosher options in Las Vegas (July 2014). The first restaurant on our trip that we visited was a new restaurant (and our first time there), Nina’s Café. Located in the same shopping center as Jerusalem Grill, at 4825 West Flamingo Road, it was pretty easy to find and not so far from the Vegas Strip. 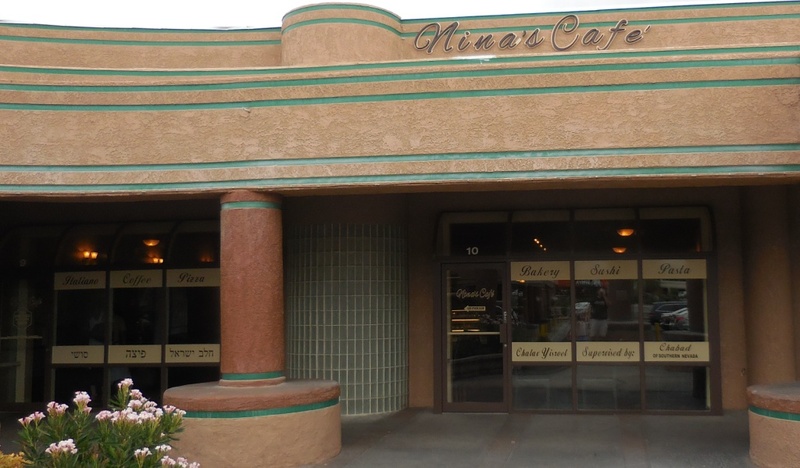 Having opened on 1 December 2013, Ninas Café is the newest kosher restaurant in Las Vegas. Also, as the fourth kosher dairy restaurant, there are an equal number of kosher dairy restaurants and kosher meat restaurants in Las Vegas. And, like most kosher-certified restaurants in Las Vegas, Ninas Café’s kosher supervision is provided by Chabad of Southern Nevada. 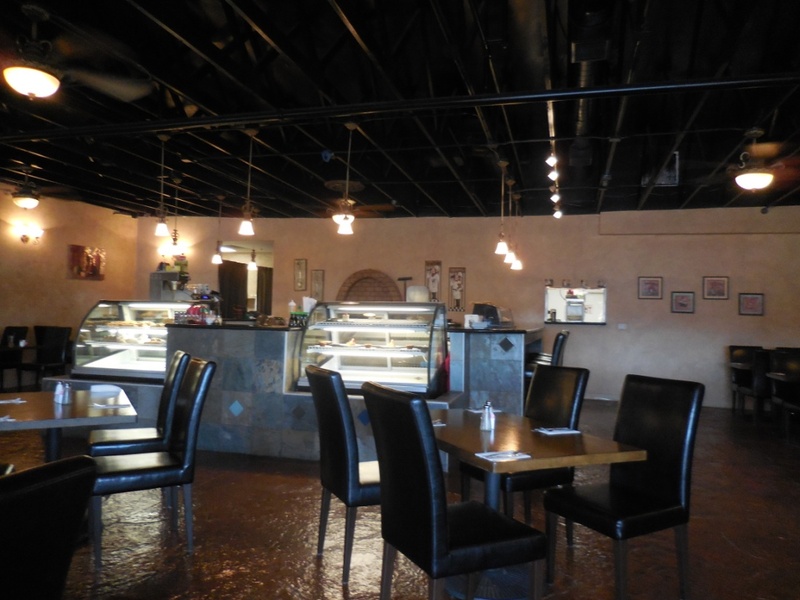 As we walked in, we noticed how lovely the place looked – it is definitely a visually appealing place to eat. On the other hand, we also felt quite warm – I don’t know if their air conditioning was not working well or what, so that was a not particularly pleasant part of our experience there. The service we received was great – our waitress checked on us regularly and, more impressively, the food came out quickly and promptly – that was really excellent! Granted, there were only a few other customers in the restaurant at the time, but I’m not going to complain about it. My wife and both got sushi to start off with and it was okay. 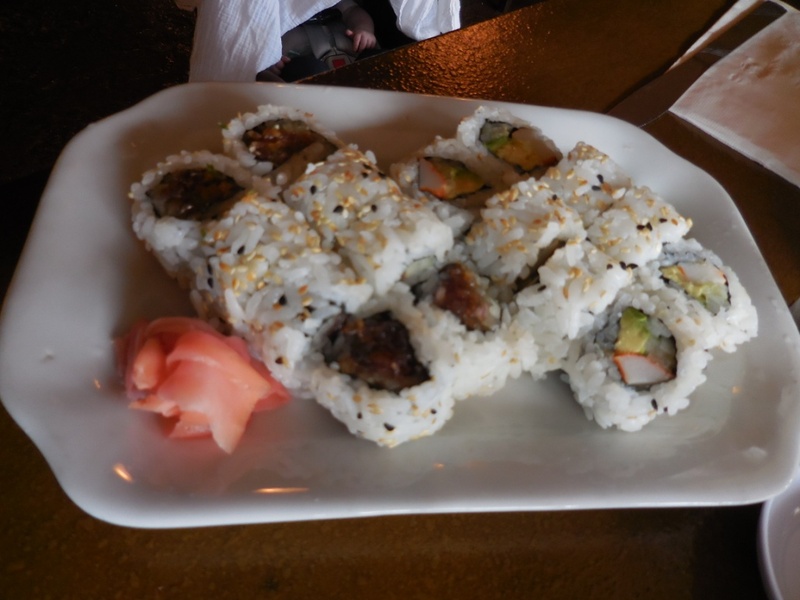 It was unimpressive – I don’t plan on ordering it again and I would not suggest getting it. 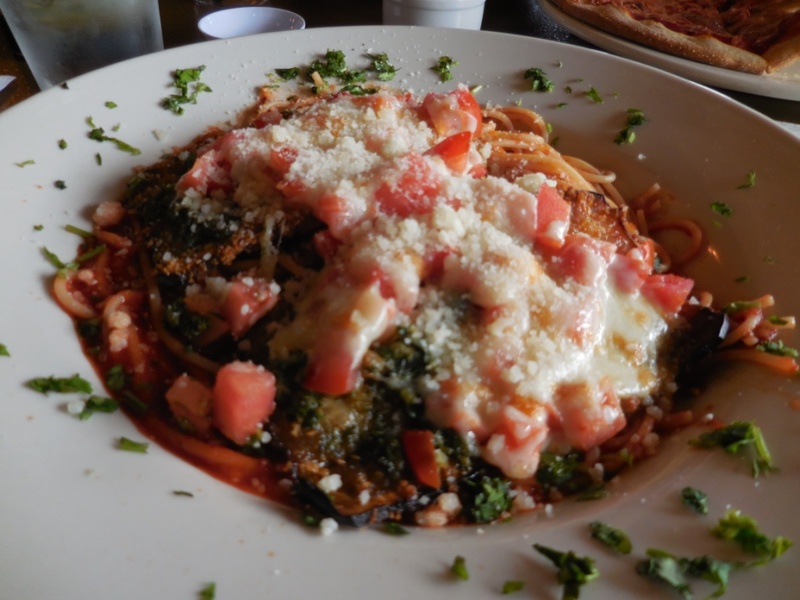 On the other hand, for my entree, I ordered the eggplant parmigiana, which I certainly enjoyed – it was very flavorful and nicely-spiced. Also, I liked the crispy texture of the eggplant. I would recommend this dish. 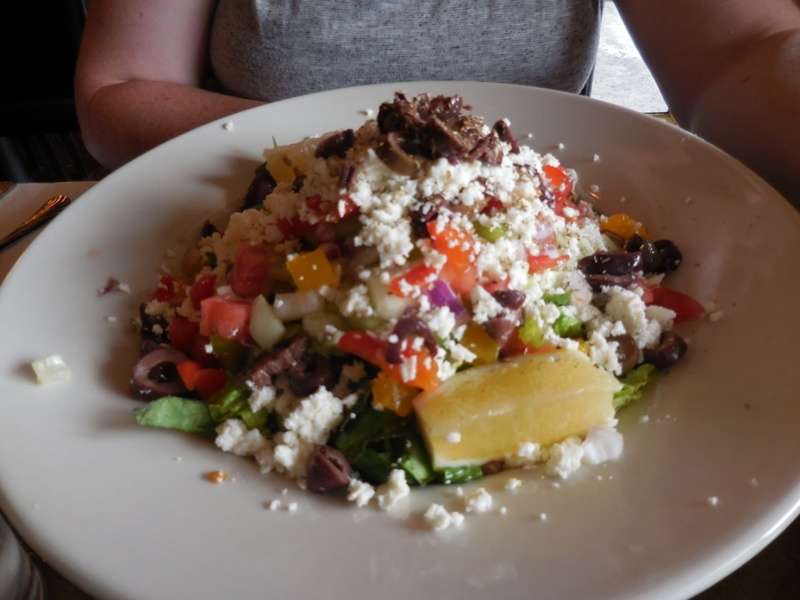 My wife ordered the Greek Salad, which I thought tasted good. 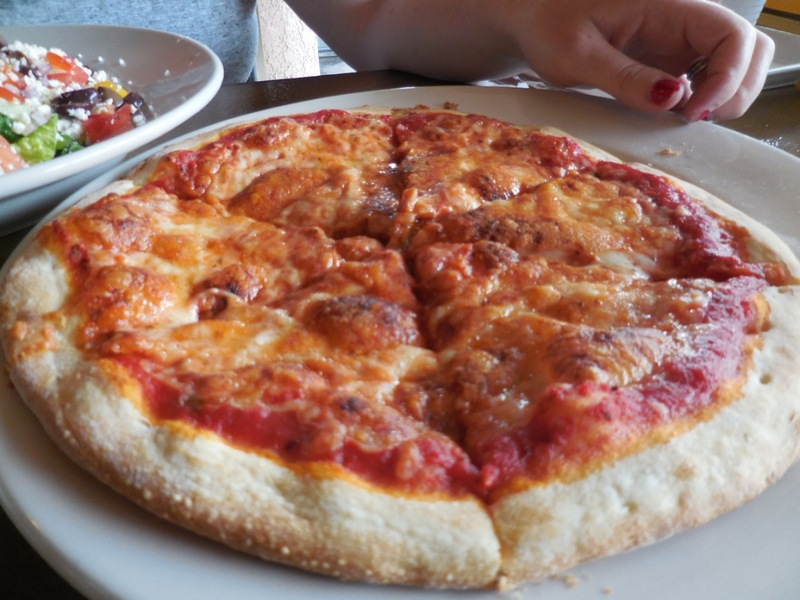 Additionally, I had some of the pizza, which we had ordered for my children. I felt that the pizza was okay, but not great. Overall, the visual ambiance was quite nice, we had good service, and some of the food was really good. On the other hand, the air in the restaurant felt too warm, some of the food was not that good, and – as my wife opined – it was a bit overpriced. It may still be worth your while to check it out, though.